This website and all web pages within this website (collectively, the "Website") are furnished by Double Win Store. The use of the Website is subject to the following terms and conditions. PLEASE READ THIS AGREEMENT CAREFULLY AS IT GOVERNS YOUR USE OF https://www.doublewinstore.com WEBSITE. This is an Agreement between you and/or all relevant persons that you purport to represent and for the purpose of this Agreement "person" includes natural person and any type of incorporated or unincorporated entity and Double Win Store regarding your access to and use of Double Win Store&apos;s website and all content, information, products and services available on or through the Website. Each time you use the Website you signify your acceptance and agreement and/or acceptance and agreement of any person that you purport to represent, to be bound by this Agreement as it then reads, and you represent and warrant that you have the legal authority to agree and to accept this Agreement on behalf of yourself and/or any person you purport to represent. If you do not agree with any provision of this Agreement, or you are not authorized to agree to accept this Agreement on behalf of a person you purport to represent, we request that you and/or any person you purport to represent do not access or use the website. This website is for convenience and informational purpose only and is not intended to convey advice and recommendation of any products or services. The Website (including all content, page headers, custom graphic, button icons, and scripts and the presentation, arrangement, coordination, enhancement and selection of such and other information in text, graphical, video, and audio forms, images, icons, software design, applications, data and other elements available on or through the Website) is the property of Double Win Store (unless otherwise indicated) and are protected by Intellectual Property laws in Malaysia. Your use of the Website does not transfer to you any ownership or rights in the Website or its content. The Website is made available to you for your lawful, personal use only. You may use the Website only in the manner described expressly in the Agreement and subject to all applicable laws. Using the Website for any other purposes or in any other manner is strictly prohibited. a. You shall not reproduce, distribute, modify, display, prepare derivative works based on, repost or otherwise use any of the content of this Website. b. You shall not use this Website or any content of this Website for any unlawful purpose. c. You shall not disrupt, alter, impair or modify the Website or anything contained on this Website or accesses any private information, including passwords or account information of other users of this Website. d. This Website may contain links to web sites operated by third parties. These links are provided for your convenience only. You agree that such third parties are responsible for the operation and contents of their web sites and Double Win Store has no liability to you or to any other person for the use of such web sites. b. You shall not, and shall not attempt to decompile, reverse-engineer, translate, convert, adapt, alter, modify, enhance, add to, delete or in any way tamper with, or gain access to, any part of the Website or any Internet Site or any software comprised in them. c. You agree to comply with the Terms and Conditions and any security procedures mentioned in them. d. Once You has logged on to the Website, You must not leave the internet terminal from which You has accessed the Website at any time; or let anyone else use the internet terminal until You has logged off the Website. You will be responsible for ensuring that he/she has logged off the Website at the end of any session. a. The text, images and other materials contained or displayed on any Double Win Store publication, product, service, report, e-mail or web site are proprietary to companies within Double Win Store, except where otherwise indicated, and constitute valuable intellectual property. b. No material from any part of any Double Win Store publication, product, service, report, e-mail or web site may be downloaded, transmitted, broadcast, transferred, assigned, reproduced or in any other way used or otherwise disseminated in any form to any person or entity, without the explicit written consent of Double Win Store. c. All unauthorized reproduction or other use of material from Double Win Store shall be deemed willful infringement(s) of Double Win Store’s copyright and other proprietary and intellectual property rights, including but not limited to, rights of privacy. d. Double Win Store expressly reserves all rights in connection with its intellectual property, including without limitation the right to block the transfer of its products and services and/or to track usage thereof, through electronic tracking technology, and all other lawful means, now known or hereafter devised. e. Double Win Store reserves the right, without further notice, to pursue to the fullest extent allowed by the law any and all criminal and civil remedies for the violations of its rights. f. Links to the Website without written permission of Double Win Store is strictly prohibited. To request permission to link to the Website, please make a formal request to Double Win Store Marketing Department. Double Win Store may in its discretion cancel and revoke any permission it may give it to link to the Website at any time without any notice and liability. g. The framing, mirroring, scraping or data-mining of the Website or any of its contents in any form and by any means is strictly prohibited. You may not use any collaborative browsing or display technologies in connection with your use of the Website or to post such postings may be viewed by other users of the Website. 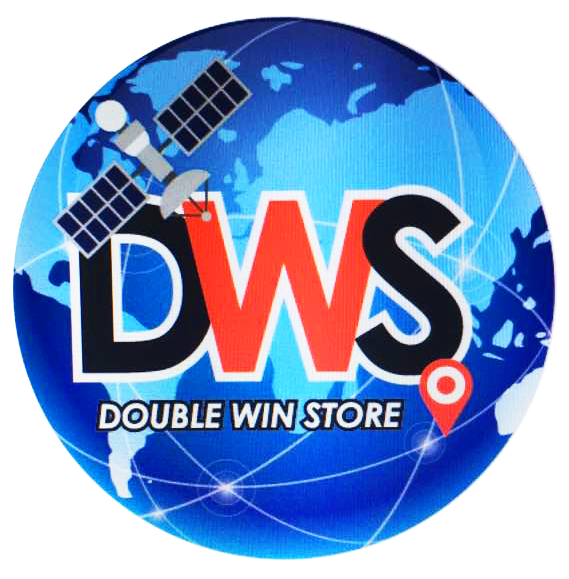 While Double Win Store shall use reasonable efforts to provide up-to-date and accurate information, Double Win Store makes no warranties or representations as to the accuracy of the information and assumes no liability or responsibility for any errors or omissions in the information provided on the Website. Your access to and use of the Website is at your own risk. All Information available through the Website is provided on an "AS IS" basis. Double Win Store makes no warranty that this Website will meet your requirements, be uninterrupted, secure or error free, or that https://www.doublewinstore.com/ or the server that makes it available are free of viruses or other harmful components or destructive files. The content of the Website is subject to change without notice. The Website may contain facts, views, opinions, statements and recommendations of third-party individuals, entities or organizations. Double Win Store does not represent, warrant or endorse the accuracy, timeliness or reliability of any advice, opinion, statement or other information displayed, uploaded or distributed through the Website. You shall acknowledge and agree that any reliance upon such opinion, advice, statement or information is at your sole risk. TO THE MAXIMUM EXTENT PERMITTED BY LAW, DOUBLE WIN STORE DISCLAIMS ANY AND ALL WARRANTIES, WHETHER EXPRESS OR IMPLIED, REGARDING ANY INFORMATION PROVIDED THROUGH OR IN CONNECTION WITH THEWEBSITE, INCLUDING WITHOUT LIMITATION, WARRANTIES OF MERCHANTABILITY AND FITNESS FOR A PARTICULAR PURPOSE, AND WARRANTIES AS TO THE ACCURACY, COMPLETENESS OR CONTENT OF ANY INFORMATION AVAILABLE ON OR THROUGH THEWEBSITE. DOUBLE WIN STORE ASSUMES NO RESPONSIBILITY, AND IS NOT LIABLE FOR, ANY DAMAGES TO, OR VIRUSES THAT MAY INFECT, YOUR COMPUTER EQUIPMENT OR OTHER PROPERTY ON ACCOUNT OF YOUR ACCESS TO, USE OF OR BROWSING IN THIS WEBSITE, OR YOUR DOWNLOADING OF ANY MATERIALS, DATA, TEXT OR IMAGES FROM THEWEBSITE. Double Win Store and its providers will never be liable to you or any other person for any indirect, incidental, consequential, special, punitive or exemplary loss of damage arising from, connected with, or relating to the Website or thus agreement including but not limited to loss of data, business, markets, savings, income, profit, use, production, reputation or goodwill, anticipated or otherwise or economic loss under any theory of liability (whether in contract, tort, strict liability or any other theory or law or equity), regardless of any negligence or other fault or wrong doing (including without limitation gross negligence and fundamental breach by Double Win Store or any person whom Double Win Store is responsible, and even if Double Win Store has been advised of the possibility of such loss and damage being incurred. In no event shall Double Win Store, its affiliates, employees, agents or representatives be liable for any indirect, consequential, special, incidental or punitive damages (including, without limitation, errors or omissions in the information in connection with the Website). You agree to indemnify, defend and hold harmless Double Win Store, its officers, directors, employees, affiliates and representatives from and against any and all liabilities, expense, and costs including without limitation reasonable legal fees and expenses incurred by Double Win Store in connection with and claim or demand arising out of the Website and your breach of this Agreement. You will assist and cooperate as fully as reasonably required by Double Win Store in the defence or any such claim or demand. Double Win Store may in its sole absolute discretion change this Agreement from time to time as it relates to future use of the Website, by posting a revised agreement on the Website. By using the Website after this revised Agreement has been posted, you signify your acceptance and agreement to be bound by the revised agreement. You may not change this Agreement in any manner. Notwithstanding any other provision of this Agreement, Double Win Store may in its discretion change, discontinue, modify, restrict, suspend or terminate the Website or any part of it without notice or liability to you or any other person. Double Win Store may in its discretion and for its convenience at any time immediately terminate, temporarily or permanently, this Agreement or your permission to access and use the Website without any notice or liability to you or any other person. All information contained herein is subject to change without prior notice. Please read and understand the above TERMS & CONDITIONS before using the service rendered by this website.